Jimmy Smith System plays Missoula tonight! In case you missed it, the Missoulian last week published an interesting story about the Gourds‘ bassist Jimmy Smith and his recent move from Austin, Texas, to Missoula. 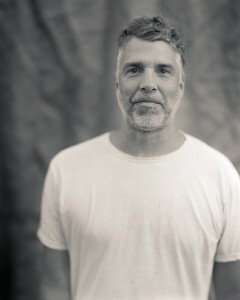 The piece listed a number of ways Smith w as connected to his new hometown before he even bought a house: The Gourds’ performances at River City Roots Festival in 2010 and again in 2013, a documentary about the band from Missoula filmmaker Doug Hawes-Davis, to name a few. “Jimmy Smith has played in Missoula so many times you’d be forgiven for thinking he lived here part-time,” the author, Cory Walsh, wrote. Well, now he lives here full-time, and he’s brought his musical inclinations with him. Smith’s one-man band, the Jimmy Smith System, will hit the stage at Charlie B’s for what we hope is a long string of live music from the talented groover. Read the full Missoulian article HERE and then get down to Charlie’s tonight at 8:30 pm for the free show!